how does our charity acquire a .org.uk domain name? Establish what domain name best suits your organisation; please refer to our guidance summary. Then contact us to find out whether your preferred .org.uk domain name is currently available or for sale. 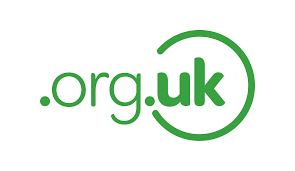 If your preferred .org.uk domain name belongs to a third party and you require our services to help your organisation to acquire it, the terms of this arrangement will be agreed after discussions about what is specifically required. We will endeavour to broker a price that suits both parties. As a pointer to the current market value of .org.uk domain names please see our cost guide. the buyer pays for the domain name via a BACs transfer; please note we are happy to use Escrow if you require additional assurance. once payment has cleared we will then initiate the online transfer of ownership via the national domain name registry Nominet. Before you agree to buy a domain name via us please read our terms and conditions. If you have any questions then please email us.